SIZE: About 1"-2",Weight: About 5 pounds. Place Himalayan salt rocks in light baskets or candle jars for a beautiful salt lamp, It can also decorate your courtyard and garden. That makes an attractive and functional centerpiece in any where. 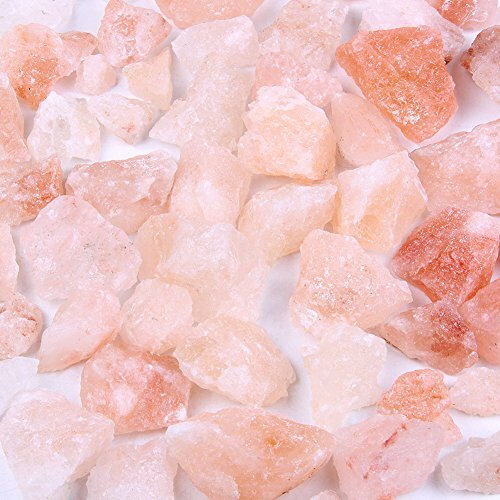 Our Himalayan salt chunks is from Pakistan. With no additional processing or treatment. Neutralizes excessive positive ions that are generated by electromagnetic radiation from appliances around the home. EASY TO SPREAD AND USE: 5 pound bag of decorative salt rocks is easy to handle; pour directly from the bag. If you have any questions about this product by Skullis, contact us by completing and submitting the form below. If you are looking for a specif part number, please include it with your message.